love this – as you better yourself, you better the world! Thanks Madeline, thats been my tag line and motto, I truly believe in this. Overall, I am AND want to be a positive person. I have noticed that it seems as though the negative (or very emotional) part of the brain wants to win/have a say, and depression or sadness will overwhelm me. It’s when I remember amazing things (and so grateful that I accomplished them), and my brain’s rewiring strengthens in a more positive way. On the other hand, when the depression or sadness overwhelms, I eventually climb out of it, yet it can be sometimes slow, and there can be social collateral damage, which grieves me. I need this advice – get out quickly. I have a feeling it will make a huge difference. Thanks Aliaa for your comment. Negative emotions carry such a strong feeling with it that we tend to dwell on them longer, for example, rehashing a scene over and over. That is why some people stay in it a lot longer. You are so right! 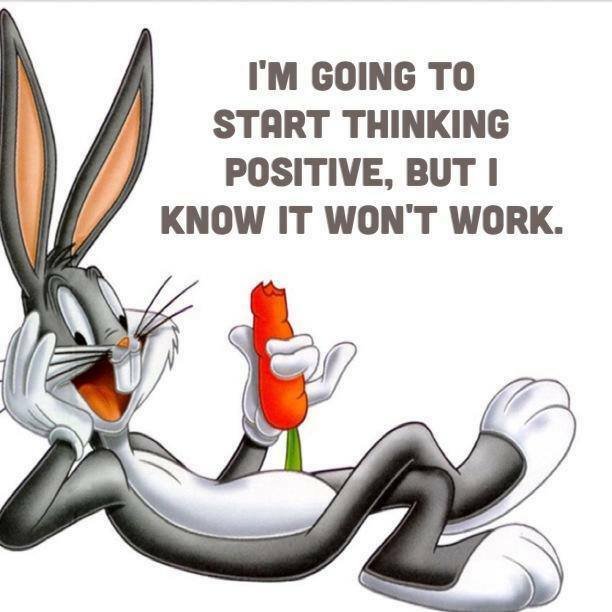 From now on positive thinking!